HAPPY 2008 FROM TICKET HORDE! 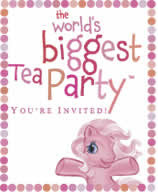 The whole My Little Pony gang will take to the stage with The World's Biggest Tea Party, an interactive show for young children. The show will tour the US, and in doing so will stop at the Houma Terrebonne Civic Center in Houma, LA. Presale tickets for this show will be available on Friday morning, and you can get yours here using the password PEWP. Blues guitarist Robert Cray and the Robert Cray Band will be playing just a few shows in the new year, and there will be a presale Friday morning for tickets to the show at the House of Blues Chicago. You can get your presale tickets right here when you use the password VIDEO. Pittsburgh Steelers playoff tickets will go on sale Thursday morning at 10 a.m. through Ticketmaster. Click here to be taken to the link for both possible playoff games at Heinz Field. 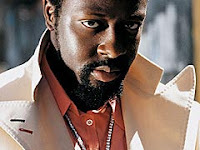 Rapper Wyclef Jean is touring in 2008 to promote his latest album, Carnival Vol. II: Memoirs of an Immigrant, which is available in stores and online now. There will be a presale Wednesday morning for tickets to the show at the House of Blues Sunset Strip in Hollywood, which he'll play at the beginning of February. You can access the presale right here using the password VIDEO. Up and coming country superstar Taylor Swift will be playing a few shows in the beginning of 2008, and there will be a presale on Wednesday morning for one of them. The 18 year-old singer/songwriter recently released Sounds of the Season: The Taylor Swift Holiday Collection, and 2006 saw the release of her self-titled debut album. Check out Ms. Swift when she plays the House of Blues Myrtle Beach mid February with presale tickets that you can get right here. The password is VIDEO. There won't be many presales in the coming week due to the holidays that are squarely upon us, but stay tuned as we bring you whatever information we get. Until then, Happy Holidays from Ticket Horde! You read that right, there will be another presale Friday morning for tickets to the Ford Up Close and Personal Tour featuring Chris Brown, Bow Wow, and a few special guests. For early tickets to the show at the Palace of Auburn Hills in Michigan just click here and enter the password VIDEO. For the show at Richmond Coliseum in Virginia you can go right here and enter the password HOMEBOY. 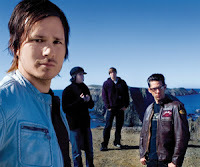 Angels and Airwaves have a slew of upcoming tour dates as they support their sophomore album, I-Empire. Presale tickets will be available on Friday morning for tickets to their show at Newport Music Hall in Columbus, and you can get them right here. The password for this presale is SECRETCROWDS. Linkin Park will play Staples Center in LA with Coheed and Cambria as well as Chiodos at the beginning of March. The band is promoting their latest album, Minutes to Midnight, which you can download from iTunes below. Presale tickets for this show will be available on Thursday morning, and you can get them here. The password for this show is VALENTINE. There will be a few more presales on Thursday morning for tickets to see Chris Brown on the Ford Up Close and Personal Tour with Bow Wow and a few special guests. Get all of your presale tickets from this page. The password for the show at Prudential Center in Newark is VIDEO, and the code for the show at Quicken Loans Arena in Cleveland is KISS. Check back to this post for updates as we try to uncover passwords for the other presales happening on Thursday morning. UPDATE: For the show at Cricket Arena in Charlotte the password is VIDEO. For the one at the Trump Taj Mahal in Atlantic City the code is BUZZ. 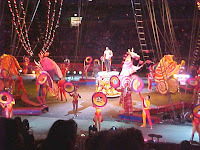 The Ringling Bros. and Barnum & Bailey Circus will spend quite a bit of time in the tri-state area in the beginning of next year, and presale tickets are currently available for all of the shows at Madison Square Garden in NYC. You can access all of the presales from this page; the password for all of them will be FUN. As we mentioned before, Marilyn Manson is going on tour in the new year behind his latest album, Eat Me, Drink Me. There will be another presale for tickets, this time for the show at the Queen Elizabeth Theatre in Vancouver in mid February. Get your tickets nice and early when you go here and enter the password, VIDEO. 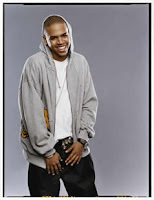 Chris Brown presales are like the gift that keeps giving. This hip hop artist knows how to please fans by offering plenty of shows and plenty of presales to go along with them. There will be another presale for tickets to see Chris Brown (on his own - this isn't a show on the Ford Up Close and Personal Tour) when he comes to Scottrade Center in St. Louis at the end of January. Be sure to check back to the Ticket Horde blog regularly to see when there will be more presales for Chris Brown and the rest of your favorite artists. I bet you thought this country duo was finished announcing shows and presales, but Keith Urban and Carrie Underwood will release early tickets to both shows at the Arena at Gwinnett Center in Atlanta on Tuesday morning. Tickets for both shows will only be available to those purchasing fan club membership and presale tickets in a bundle. However, there will be a free presale in a few days for the same two shows, so if you don't feel like forking over the cash for membership, just be sure to check back here for updates over the next week. If, on the other hand, you don't want to wait for tickets, you can get yours along with an official fan club membership Tuesday. Click here for the show on April 24th, and here for the one on April 25th. Sesame Street will bring it's latest live show, Ready for Action, to Agganis Arena in Boston next March and April. You can catch the whole gang, including Elmo, Big Bird, Ernie and Bert, and more with presale tickets, available on Tuesday morning. Click here to access all of the presales, and be sure to use either of the passwords, SEWP or STWP. 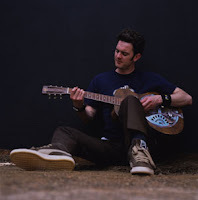 G. Love and Special Sauce are hitting the road again. Presales are underway and you can get them by utilizing the free presale passwords listed below. If there is not a concert listed near you, check back often so you don't miss out on tickets when they do go on sale. Yes, you read that correctly, R&B girl group En Vogue will be playing a few shows in the new year, after recently releasing their latest album, The Gift of Christmas. The lineup has changed several times over the last few years, and currently consists of old and new members, Cindy Braggs, Terry Ellis, and Amanda Cole. Presale tickets will be available on Monday morning to see the girls play B.B. Kings Blues Club in NYC, and you can get them right here. The password is FUNKYDIVAS. 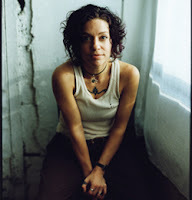 As we've mentioned before, Ani Difranco will be heading out on tour in 2007 to promote her latest album of greatest hits (plus a few originals), Canon. What began as a brief tour is growing bigger as the folk rock singer announces more dates. The latest is a show at Chan Centre for the Performing Arts in Vancouver, and there will be a presale for tickets on Monday morning. You can get early tickets right here using the password CANON. There will be a presale on Monday morning for tickets to see Disney on Ice: Princess Wishes when the show comes to Energy Solutions (formerly Delta Center) Arena in Salt Lake City. You can access the presale from this page; the password is FUN. There will be yet another presale for the country duo that is taking North America by storm. That's right, I'm talking about Keith Urban and Carrie Underwood, who will play Madison Square Garden in February of 2008. You can access the presale right here; the password for this show is CARNIVAL. As you can see, we don't yet have all of the passwords, but we'll keep you updated when we do. There's a good chance they will use the Live Nation password, VIDEO, but we'll be sure to keep you posted as we hear more info. Comedian Chris Rock will head out on tour later this month, at the end of a year that has seen him appear in 2 films (I Think I Love My Wife and Bee Movie) and prepare for another due out in 2008 (Madagascar 2). There will be a presale for several of these shows on Friday morning; you can check all of them out here. All of these will be AmEx presales, which means you can only purchase early tickets if you have an American Express card. If you do, simply enter the 800 number on the back of the card as the password, and be sure to pay with the same card later in the transaction. For all Presale Password information for Hannah Montana / Miley Cyrus for 2009 (and later) concerts, please visit PresaleToday for updated information. The Hannah Montana & Miley Cyrus: Best of Both Worlds Tour has been extended, and there will be a presale for pretty much all of her newest shows on Friday morning. You can access all of them starting from this page. Tomorrow's presale will only be available to members of the Hannah Montana/Miley Cyrus official fan club. If you're already a member, just enter your unique password to get your hands on early tickets. To check prices or purchase Hannah Montana presale tickets on Stubhub click here. Shock rocker Marilyn Manson will be heading out on a national tour in 2008 to support his latest album, Eat Me, Drink Me, the title of which is supposedly taken from the infamous note that Alice encounters in Alice in Wonderland. You can get presale tickets to many of the shows over the next few days, and you can access all of them from this page. All of the presales tomorrow appear to share the password VIDEO, but we'll keep you posted if any are different. There will be another presale on Thursday morning for tickets to see Linkin Park as they tour with Coheed and Cambria and promote their latest album, Minutes to Midnight. The presale is accessible through this page, but it will be open only to official fan club members, or to those who'd like to purchase membership with their early tickets in a bundle. Buying membership and tickets in a bundle is a wise choice, as it will let you check out your possible seats before making you commit to either one. A second show at Madison Square Garden has been added for Chris Brown and Bow Wow on the Ford Up Close and Personal tour. Presale tickets for this show will be available on Thursday morning, and you can access it right here. The password is HECHRIS. UPDATE: There will also be a presale for the show at St. Pete Times Forum in Tampa. Click here to access the presale using the password VIDEO. The Foo Fighters are going on tour behind their latest, Echoes, Silence, Patience, and Grace, and there will be yet another round of presales for a few of their shows in California and Nevada. For presale tickets to shows at Reno Events Center, Oracle Arena in Oakland, Cox Arena in San Diego, and the Forum in Inglewood just go here on Thursday morning and enter the password HOME. As we mentioned here just yesterday, Wilco is going on tour in 2008. There will be presales for the next few days, so be sure to check back to the blog for more information. As for tomorrow's presales, you can access all of them from this page. For the show at Lakewood Civic Auditorium the password is VIDEO. For the one at North Charleston Performing Arts Center the code is JEFF. Finally, for the show at Ryman Auditorium in Nashville the pass code is SKYBLUE. Yesterday we mentioned that Columbian singer Juanes will be going on tour, and today we're glad to tell you that there will be a free presale on Thursday morning. You can access all of the presales from here. Check out the venues and passwords below, and don't forget to check back for updates. Please note, you have reached an outdated page. 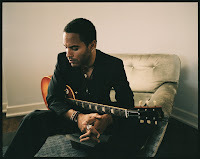 For current Lenny Kravitz Presale information, please click here. Lenny Kravitz has a brief toured planned for the beginning of 2008 that will take him to smaller, more intimate venues in major cities across the US. Kravitz is preparing to release It Is Time for a Love Revolution in the beginning of February, so look out for his first single to start getting some radio air play in the next few weeks. Presale tickets for all of these shows will be available on Thursday morning, and you can access all of them from this page. The password for all shows is REVOLUTION. That's right, there will be another (free) presale on Thursday for tickets to see Keith Urban and Carrie Underwood as they tour the North America next year. You can access all of the presales right here, but you'll have to check below for the passwords. Singer/songwriter Dolly Parton will play just 3 shows in upcoming months, at the Opera House in Boston, Radio City Music Hall in NYC, and The Chicago Theatre. The country superstar will be releasing her newest album, Backwoods Barbie, sometime in 2008. Presale tickets to see Ms. Parton will be available on Thursday morning. You can check out the presales here, but to actually get tickets you must either be a member of the official Dolly Parton fan club, or purchase membership in a bundle with your tickets. If you're not a member yet but would consider it for early tickets, we recommend buying membership and tickets together, as it will allow you to check out your seats before you commit to paying for the membership. Bon Jovi was scheduled to play Stand Up for a Cure at Hammerstein Ballroom in NYC in February 15th, and there was a rumored presale Wednesday morning, but the page has disappeared. You can check out the band's other upcoming shows here. We'll keep you posted with any further info we receive. 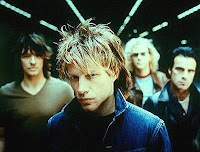 Download Bon Jovi's "Lost Highway" album now. 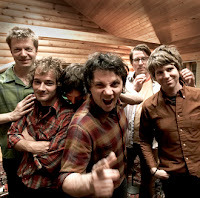 Chicago band Wilco was just nominated for a Grammy for their latest album, Sky Blue Sky, and now they've announced plans for a national tour in 2008. The tour will begin mid February with a week of shows in their hometown of Chicago, and then they'll head south for several weeks of dates before moving on to Australia. You can check out all of the dates here. There will be a fan club presale on Wednesday morning, and another to follow on Friday before the public onsale on Saturday. You can read more about all of these presales right here. Good luck! Folk rock singer Ani Difranco is playing scattered dates across the east and south in the beginning of next year, as she backs her latest album Canon, which was released by her very own Righteous Babe Records. Presale tickets for a few of her shows will be available on Wednesday morning, and you can check all of them out here. The password for all of the shows going on sale is CANON. There will be yet another presale on Wednesday morning for tickets to see Reba McEntire and Kelly Clarkson together on the 2 Worlds 2 Voices Tour 2008, this time at Conseco Fieldhouse in Indianapolis. The presale will be for official fan club members only, so if you are one and you'd like to get some early tickets just click here and be sure to enter your unique password. 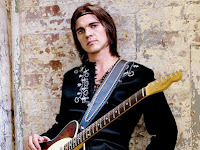 Columbian rocker Juanes might not be a household name just yet, but the musician is getting ready to take the US by storm when he tours a the beginning of next year. The Latin Grammy winner is promoting his latest album, La Vida... Es un Ratico, and will hit mostly larger venues in bigger cities across the nation. , at which point you'll be given a unique password that will get you into the presale. Canadian rocker Avril Lavigne has already announced plans for a North American tour to back her latest album, The Best Damn Thing, which features the hit single Girlfriend. However, an additional date has been added at Target Center in Minneapolis, and there will be a presale for tickets to this show on Wednesday morning. You can gain access to the presale right here; the password is GIRLFRIEND. Matchbox Twenty, back from their four year touring hiatus, will play a show in Phoenix with Alanis Morissette and Special Guest Mute Math. There will be a presale for this show on Wednesday, and you can access it right here. There are a few ways to get your hands on early tickets. First, you have the option of using your American Express card, in which case you simply enter the 800 number on the back of your card as the password, and then go ahead and pay with the same card. 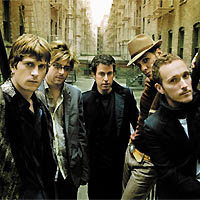 If you're a member of the official fan club of Matchbox Twenty you can just enter your unique password when prompted. If you aren't yet a member of the fan club but are considering it, you might want to purchase tickets and membership in a bundle. This way you can check out the seats before you commit to paying an additional fee for a year membership.